Long before rockets sent Neil Armstrong to the moon, or even before the Model T begat road rage, people rode animals out of necessity. Thankfully, we've come a long way since then. But that doesn't make riding animals any less interesting. 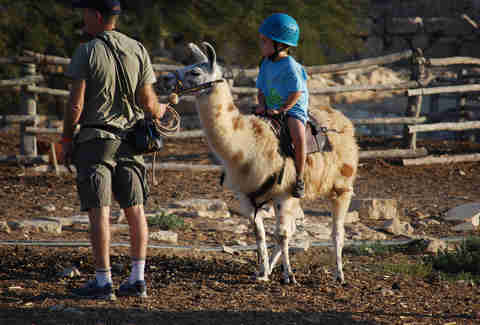 In fact, nowadays, riding animals is a luxury in the developed world. But some animals are better than others. We set out to rank the beasts you can feasibly take for a spin. Yes, this really is a ranking of animals you can ride. It will be the most interesting and important thing you read all week. Note: In all seriousness, we love animals and none of this should be taken seriously. Animal cruelty is real. No trip to the Steppes of Central Asia is complete without a ride on a yak. The most popular places for yak riding are Mongolia, China, and several of the “Stans.” But unlike, say, a four-door sedan, this mode of transport doesn't lose a third of its value when it meanders off the lot. You can race yaks, lasso yaks, make cheese with their milk... and sell them to the local butcher when you’re done for a very reasonable price. It's a mode of transportation that doubles as your lunch. Go ahead and try selling Geo Metro milk to anyone. You can't. 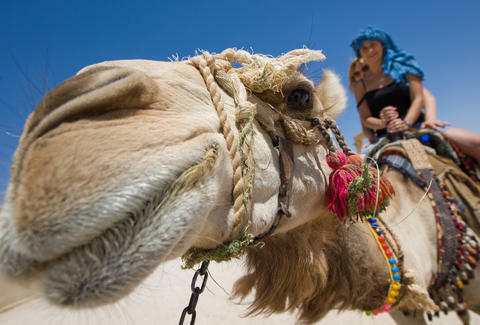 Should your travel plans take you to the Middle East, the Sahara desert, or select parts of Europe and Mexico, you may very well end up on a camel. Despite their popularity, camels aren't necessarily all that comfortable -- a man may find himself a bit, shall we say, bunched up. Still, camel riding is all the rage wherever there are vast amounts of sand and tourists with iPhones. This is a cool ride if you’ve ever had secret fantasies of being a Sheikh and/or Aladdin. 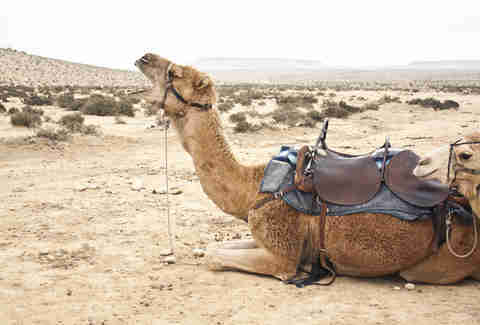 Thrill seekers can even race them, though this is not recommended for the novice camel rider. Sure, Hannibal tore the Western world a new one on elephants, but everyone (and we mean everyone) who's been to Thailand has already exhausted elephant rides on Instagram. It's safe to label elephant riding as passé. Good thing this list isn’t done yet. 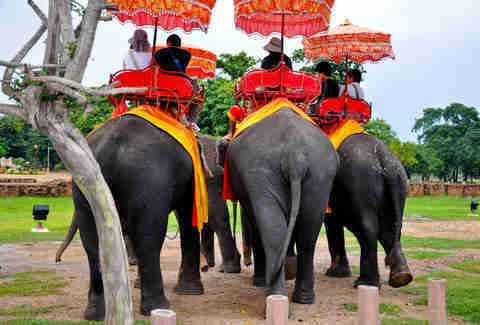 You know what's a less played-out ride in Southeast Asia than an elephant? Water buffalo. You can ride one of these majestic creatures in Vietnam, Laos, and the Philippines for a truly native experience. 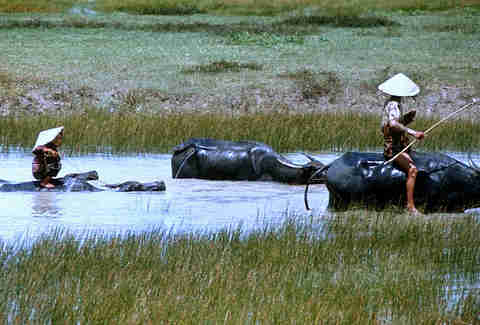 Those in the know recognize water buffalo as just the Southeast Asian equivalent of cows. They’re Asian cows. You’re riding a cow. But have you ever ridden an Asian cow? Sure, Machu Picchu is sweet, but what’s even sweeter is rolling up to this bucket list Instagram background on a llama. Native to the Andes Mountains, llamas have been used on mountain treks for centuries, as they are predominantly pack animals. While you technically can ride them, you really shouldn’t be doing this unless you're a small child. And if you're a small child and reading this: how are your parents letting you read this website? Yes, you can actually ride Santa’s stallions, and no, you don’t even have to go to the North Pole to do it. 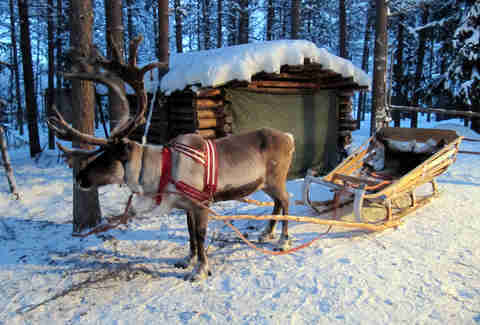 You can ride Dasher and Dancer in Finland and Mongolia (you know, when you’re done riding all the yaks. Just don’t tell the reindeer about the yak sandwich you snacked on after the ride). Imagine if your Christmas card next year actually has you on Rudolph, and not just in a studio at Sears. You probably did this already at either SeaWorld or Atlantis Paradise Island when you were 11 years old. There’s really no need to do it again. As the famous philosopher O'Shea Jackson once said, "Life ain't a track meet, it's a marathon." 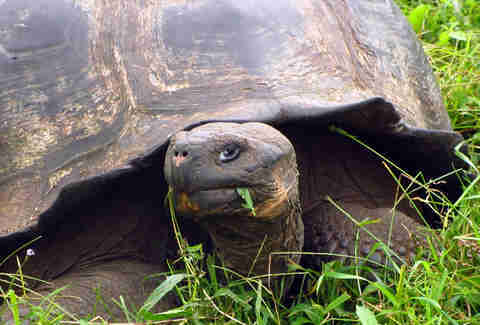 Never is that more apparent than on a tortoise. You’re not going anywhere in a hurry, but tortoises are great rides if you want to live life at a leisurely pace. Giant tortoises are on the endangered species list, and there aren’t too many left, so you may experience a long line and considerable wait time at your local tortoise riding establishment. Giraffes are a perfect option for travelers who don’t mind standing still for long periods of time while their vehicle chews on leaves. It's basically nature's equivalent of a cherry picker. 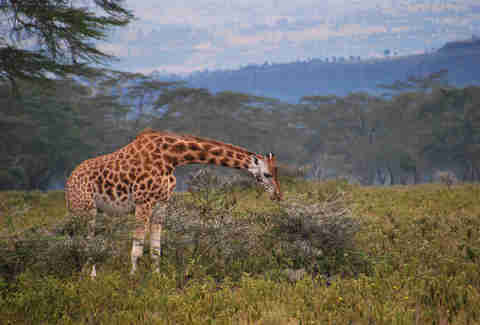 For anyone who's harbored dreams of mounting these spotted, long-necked beauties, head to South Africa for one of the most ungraceful rides/stationary experiences of your life. 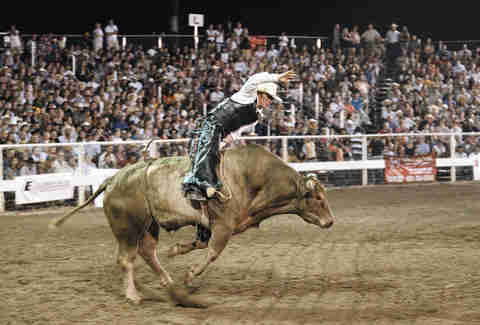 You can do this at any Texas rodeo, or at any Texas rodeo-themed bar. You may need quarters for the latter. Either way, you'll likely end up with bruises in weird places -- especially if you make a habit of hanging out at bars with rodeo themes. From the day they learn the alphabet, pretty much every kid loves zebras. They're stripy and their name is the coolest thing that starts with a Z outside Zack Morris. 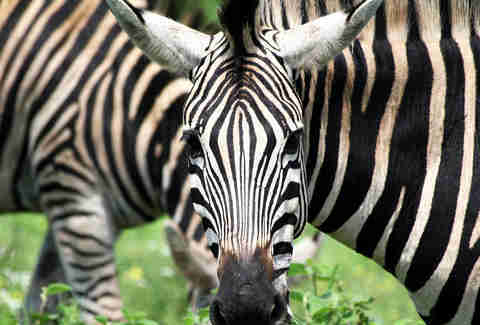 The divas of the quadruped community, zebras know they look good. They're the gaudy, animal-print wearing New Jersey cousin of the chilled out, earth tone-wearing horse. While it’s technically possible to ride a zebra, they tend to be temperamental, unpredictable, and, let’s just say it, sassy. So you'll probably have to pony up some bling before you can saddle up on this pony. Now we're talking. Maybe not the slickest ride, but this bucking bird will have you in for a rush of adrenaline as you try to tame it. Much like the yak, the likelihood is high this vehicle will later become someone’s dinner. But who said playing with your food can’t be fun? 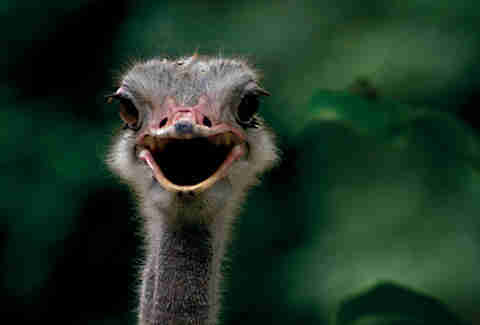 South Africa is prime ostrich-riding/eating territory. And good luck catching it, anyway. Meagan Drillinger is a freelance writer for Thrillist. She has eaten yak meat in Mongolia and thinks they are better for riding. Follow her on Facebook, Instagram or Twitter at @drillinjourneys.